LIVINGSTONE: I made a promise to myself not to spend a lot of my space on this blog writing about fantasy baseball. It’s a big part of my season, wheeling and dealing, looking for sleepers, the whole bit. My wife usually hates it by the middle of the season, especially when I’m trying to move guys into my starting line-up when we’re out on the town. However, I have to air my frustrations. It’s only a dozen games into the season for most teams and as expected, things are wonky. Wait – not wonky – turned completely upside down. Yeah, that’s more like it. In one of my first posts on here, I wrote about missing the first 15 rounds of my draft – in a league where I’m the commissioner no less – and how, in the end, I felt my pitching staff would allow me to stay competitive, while I’d have to work to keep a quality line-up of hitters on the field. If the first 12 games are any indication of what I’m in store for – I might as well give up now. My staff is in utter shambles. I’ve managed to amass four wins all season, two of which came from my bullpen (Tyler Clippard and Johnny Venters), the other two come from Verlander (who really should be 3-0 after two ninth inning meltdowns in his first two starts) and Ubaldo Jimenez (he gave up seven runs in the game, but the Indians put up more than a dozen). I’m second last or in the basement in five of six categories for pitchers (CG I’m first, but hell, that’s a gimme category), my closers aren’t closing out games. That said though, the guy I expected to pick up saves (Angels’ Walden) isn’t getting the opportunities because his team is under-performing and my other big closer – Drew Storen – is out until at least mid-season. On top, my frankenstein bullpen of Brad Lidge and Hector Santiago aren’t closing games either. Starters? Oh, well, Lincecum is looking sub-par, I dumped Josh Johnson for a more, seemingly effective Wandy Rodriguez, and picked up sleeper Chris Sale from the White Sox with hopes of bolstering a decent start from Jordan Zimmerman. I also picked up Trevor Cahill with hopes he can bring down my ERA a bit (thanks Johnson, Mat Latos and Lincecum for the 4.50+ ERA). My bats? Hmmm, started strong, but aren’t staying strong. Cards’ David Freese and Yadier Molina have been hot, along with Giants’ Pablo Sandoval and as of late, Buster Posey. Rockies OF Michael Cuddyer has been a huge hit also. However, Everything else has been a moment in time. 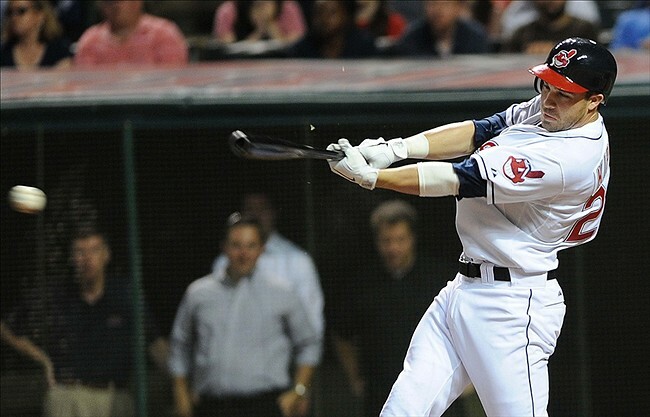 Jason Kipnis and Nick Markakis have been under-performing in Cleveland and Baltimore. And losing Michael Morse to the DL is a tough loss after he had a visit with the ‘your season isn’t looking good’ from Dr. James Andrews. Sigh – I’m ranting now. Hopefully, my team picks it up and gets it going. The thing is, it’s early, it’s baseball, and things can turned around very quickly. It’s what we love about this game, the unpredictability.